← Pullips invade Little World stores in Japan! Groove announced via their blog that expanded preorders have now been opened for their upcoming Disney collaboration Cinderella doll, up until now preorders for Cinderella had only been available via Bandai’s shop. Now preorders have opened for Cinderella via Groove’s official store. It is still unclear at this time if Cinderella will be distributed within the US or how she will be distributed if so it is important to note that in addition to Groove’s official store Japanese hobby retailers Amiami and Hobbysearch have also opened preorders and both of which ship worldwide. Cinderella is the first doll in a new line of Disney collaboration dolls. Groove has referred to her as being a part of the “Doll Collection” line rather than actually referring to her as a Pullip though the name may be different she definitely appears to the same Pullip that we have all come to know and love over the past fourteen years. 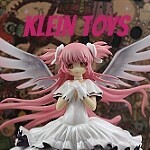 I hope that her release will will introduce lots of new fans to the world of Pullip. 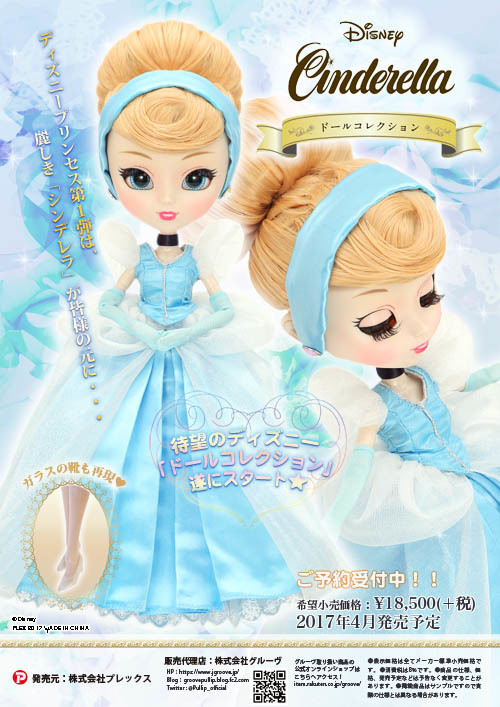 Cinderella is set to be released in April of this year and has a MSRP of 18,500 yen. I will try to keep this post updated as Cinderella becomes available for preorder in more places! This entry was posted in Doll and tagged 2017 groove, cinderella, disney, doll collection, groove, Pullip. Bookmark the permalink.